Water dilutable Ink Cleaner concentrate (1:1 to1:3) ideal for textile, UV graphics and some solvent based industrial inks CPS Aquawash 442 is a concentrated ink cleaner that is diluted 1:1 and up to 1:3 with water. 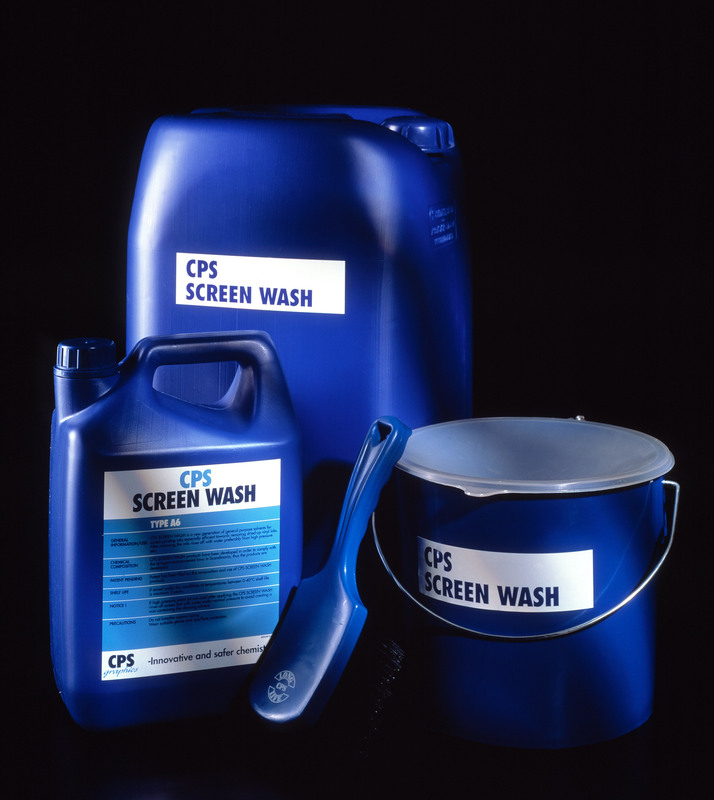 Provides screen printers with a low VOC and low COD Aquawash for manual and automatic machine cleaning (EN122921-3:2005 compliant) of textile, UV graphics and some solvent based industrial inks. It is especially good at reclaiming two component nylon inks when used neat. Concentrates make ink cleaning a more sustainable process as less packaging is used and the carbon footprint is reduced as less product needs to be delivered to you. 1 litre of product gives you up to 4 litres of working product for cleaning. 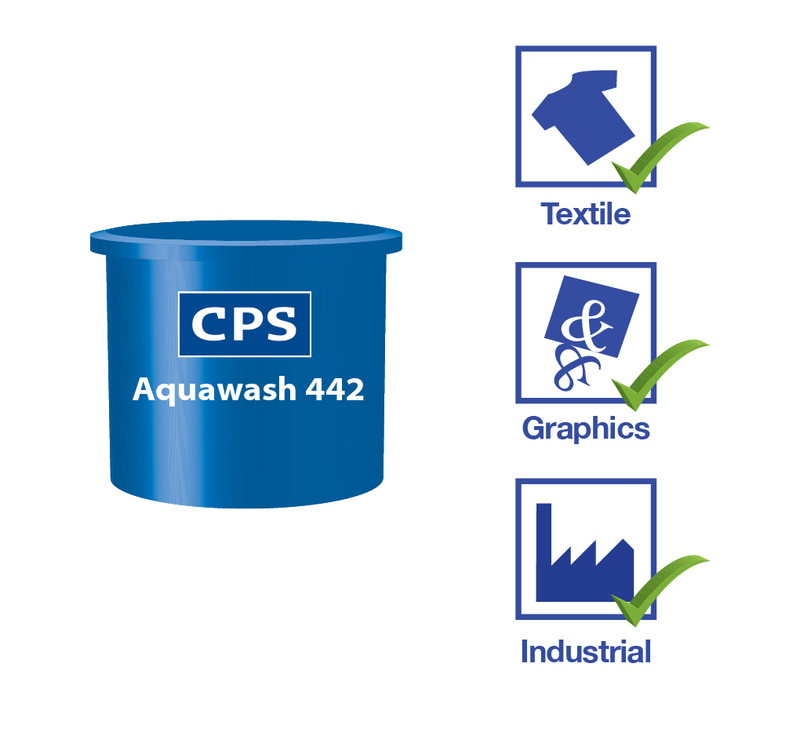 CPS Aquawash 442 is part of the new family of very low hazard ‘concentrated’ screen washes. It is particularly good for dissolving all types of Textile and UV inks. Can also be used neat as a ink stain remover or to remove catalysed inks from the mesh after printing. * EN12921-3:2005 compliant for automatic and recirculaion ink cleaning. * Concentrates help reduce carbon foot print & the amount of packing used. Screen printers that GOTS (Global Organic Textile Standard) approved. Screen printers with recirculation booths, dip tanks, automatic screen cleaning equipment and manual cleaning by bucket and brush. Flashpoint: 73°C (163°F) Sh CC (Setaflash closed cup)*. Screen printers of textiles, apparel, garments, t-shirts, tea towels and bags. 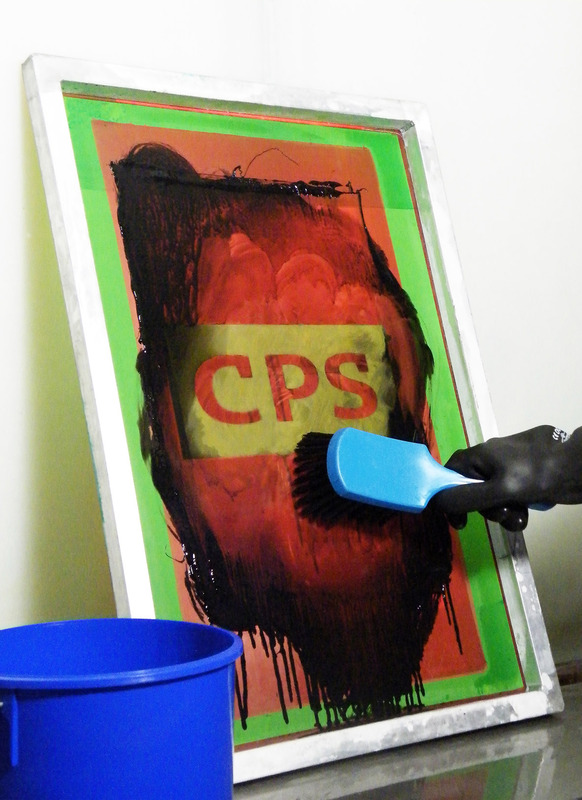 CPS Aquawash 442 is an EN12921-3:2005 compliant ink cleaner for automatic and recirculation screen cleaning. A: The European Standard EN12921-3:2005 (Machines for surface cleaning and pre-treatment of industrial items using liquids of vapours. Safety of machines using flammable cleaning liquids) specifies that flammable cleaning liquids have a flash point at least 15°C above ambient / working temperatures and recommends a flash point of greater than 55°C for autoamtic and recirculation cleaning.